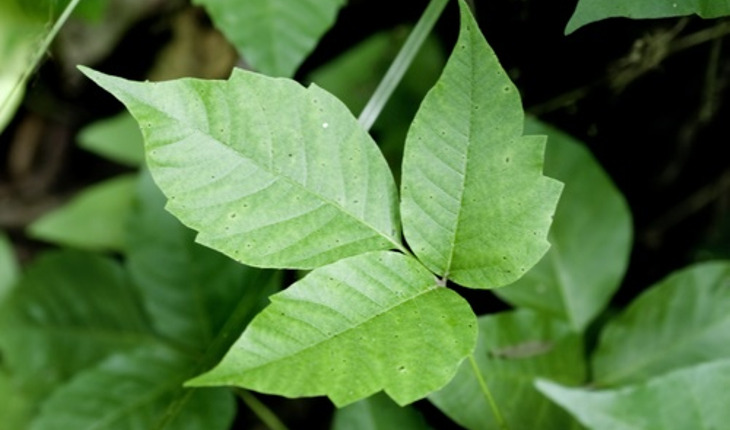 While poison ivy is probably the most well-known hazardous plant, there are a multitude of other plants, as well as many insects, that can irritate your skin. For example, Dr. Trevino says, people can prevent rashes from poison ivy and poison oak by keeping away from plants with “leaves of three.” For additional protection while hiking, gardening or working in areas where these plants are prevalent, he also recommends wearing protective clothing and applying a barrier cream to the skin. He says those who have been exposed to poison ivy, oak or sumac can limit the resulting rash by immediately rinsing the affected skin area. “People may think they’re more likely to develop a rash while hiking in the woods than enjoying a drink by the pool,” Trevino says. “But if that drink happens to be a margarita or a beer with a lime, they could end up with itchy red skin at the end of the day.” He says the combination of ultraviolet radiation and exposure to certain plants, including citrus fruits like lemons and limes, may result in a condition called phytophotodermatitis, which causes a rash followed by hyperpigmentation. To avoid this condition, he suggests rinsing the skin and reapplying sunscreen after eating or drinking citrus while outside in the sun. According to Trevino, people may not even need to leave their home or garden to develop a plant-induced rash, as several common plants and foods found in the home and garden may cause skin reactions. He says some flowers and bulbs — including chrysanthemums, Peruvian lilies, and tulip and daffodil bulbs — contain chemicals that can irritate the skin or result in an allergic reaction. Additionally, he says, some plants used in spicy foods, like chili peppers and horseradish, contain chemicals that can cause skin irritation. Other common plant-related skin problems are injuries from the spines or thorns of plants like cacti and thistles, Trevino says. Additionally, plants with small nettles or hairs can cause hives by releasing irritating chemicals into the skin, he says. He suggests avoiding contact with these plants if possible and using protective clothing, like gloves, when handling them. Plants aren’t the only living things in your neighborhood that can irritate your skin; bites and stings from several common insects may result in redness, bumps and itchiness. Protective clothing, like pants and long sleeves, can help prevent insect bites, Dr. Trevino says, as can spraying clothing, shoes and camping gear with the repellant and insecticide permethrin. He also recommends staying indoors at dawn and dusk, when insects are most likely to bite, and using insect repellants that contain DEET, picaridin or oil of lemon eucalyptus. If a biting bug lands on your arm, he says, it’s best to flick it off with a finger, as squashing it on the skin could cause it to bite, resulting in skin irritation or injury. Most insect bites do not cause serious health problems, Chen says, and those that itch can be treated with over-the-counter or prescription antihistamines and topical steroids. Since ticks and mosquitoes may transmit more serious conditions, such as Lyme disease and West Nile virus, respectively, she says, anyone who experiences symptoms like a persistent rash, fever or body aches after being bitten by an insect should seek medical attention. In addition to carrying diseases like dengue, chikungunya and yellow fever, mosquitoes can transmit the Zika virus. After declaring the disease a Public Health Emergency of International Concern in February 2016, the World Health Organization removed this status in November 2016. Both WHO and the U.S. Centers for Disease Control Prevention, however, have indicated that Zika is still a serious issue. In addition to causing a high fever, rash, red eyes and joint pain in those infected, Zika has been linked to birth defects, so Chen recommends that expectant mothers, women of child-bearing age and their male partners be vigilant about protecting themselves from mosquito bites. She also advises against nonessential travel to areas affected by Zika, including South and Central America, and recommends checking the CDC website for the latest updates when planning a trip. Headquartered in Schaumburg, Ill., the American Academy of Dermatology, founded in 1938, has a membership of more than 18,000 physicians worldwide. Click here to visit the organization’s website.